The entry to the Visitor Center. Scouts never get tired of the Scout Law. Really. Here it is etched into the glass facade with a brightly colored mural as a backdrop. Details of the type and merit badges that are etched into the building’s facade. Get oriented. Feel inspired. And get out there! 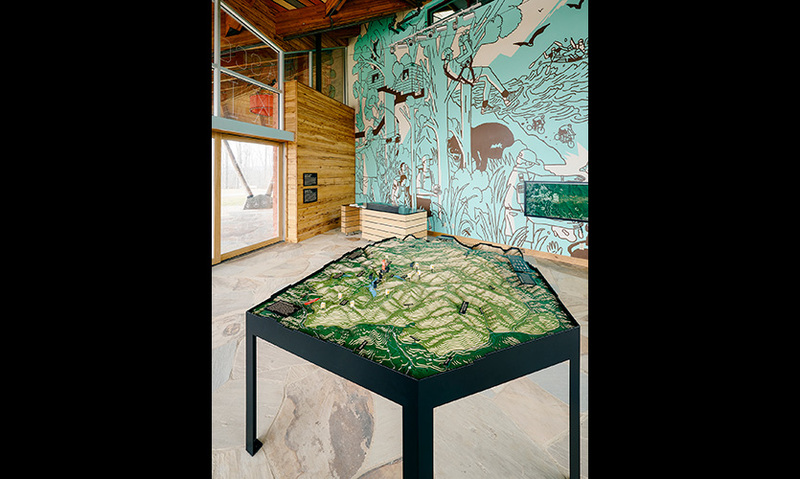 A sculptural topographic map and information desk with a mural of some of the many activities available at the Summit get visitors situated. Overall view of the exhibit hall showing the floating tent-like canopy and central display area. A continuum of Scouts shows 100 years of determination, citizenship, leadership and curiosity. A photo station allows visitors to take a picture of themselves and display it in a portrait screen. 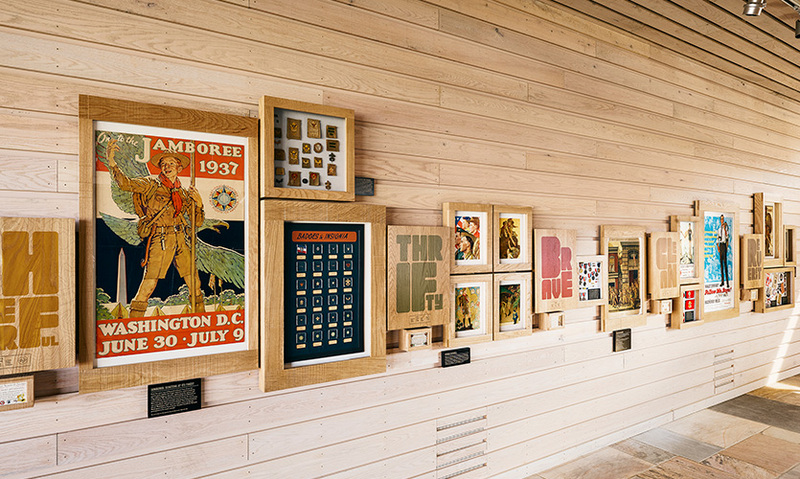 The perimeter walls of the space display a collection of rare Scout ephemera such as posters, pins and patches. 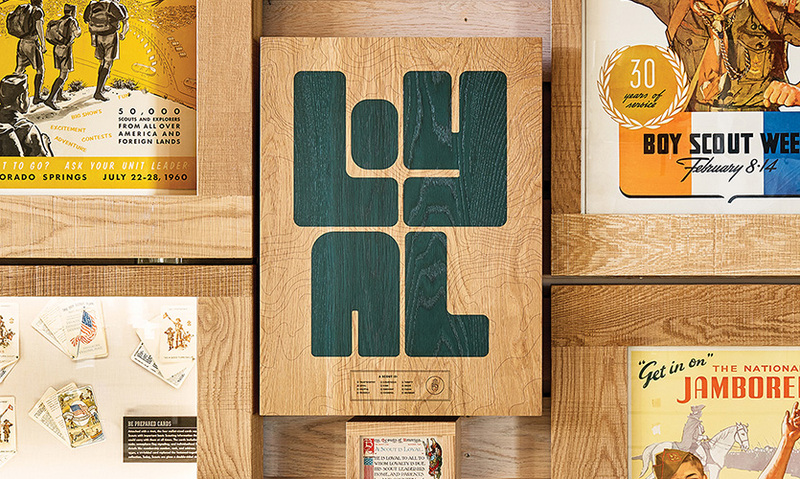 Twelve specially designed posters of each tenant of the Scout Law organize the display. A detail of one of the Scout Law posters. A drawer containing a sampling of the 2013 Jamboree patches created by local councils for trading with rabid collectors. 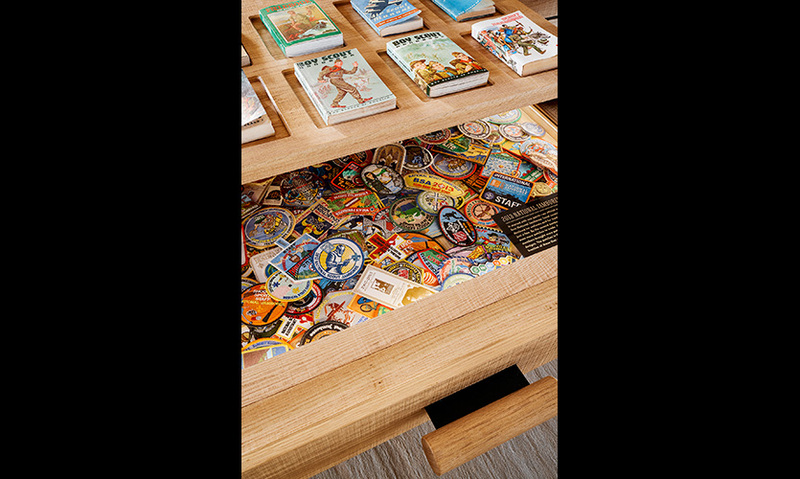 Above the drawer sits a display showing the evolution of the Scout Handbook. 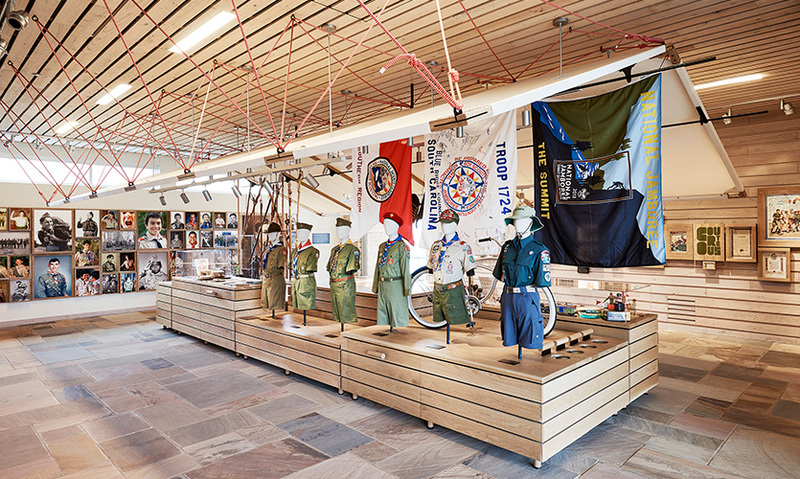 The design of the arrival experience and exhibits within required creating spaces with a reverence to the 100-year-history of Scouting with a contemporary flair, showing how the institution is still relevant today and will be for the next 100 years. 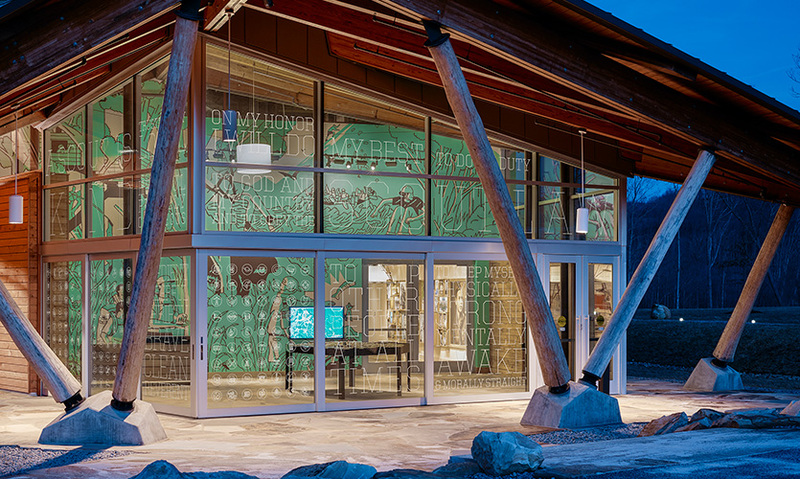 The entry foyer is surrounded by a glass façade with the Scout Law and redrawn merit badges etched into it in unexpected and dramatic fashion. Inside this space, visitors see a massive, brightly colored mural illustrating a number of the activities they’ll be able to do at the Summit that immediately sets a tone of “this isn’t Grandpa’s Scouting.” The mural includes the Sustainability Treehouse (another Volume project), a Scout navigating with a compass and leading his troop, the endangered Indiana bat, a zip line, and the resident bear among other features. On the floor in front of the mural, visitors are able to get oriented to the site with the large physical topographic map created from over 75 layers and meant to be as much a piece of sculptural art as a useful tool for understanding the scale of the site. Visitors can also explore a touch screen map that provides greater detail in exploring the property as well as photographs of the various areas. A Scout in the mural holds the touch screen as if it were part of the artwork. Inside the exhibit space, under a floating tent-like canopy, a variety of ephemera from throughout the history of Scouting is displayed, such as Baden Powell’s walking stick, an early copy of the Boy Scout handbook and a timeline of merit badge sashes and uniforms. Around the perimeter of the room, the 12 Scout Laws manifest as posters re-interpreted to appeal to today’s youth. 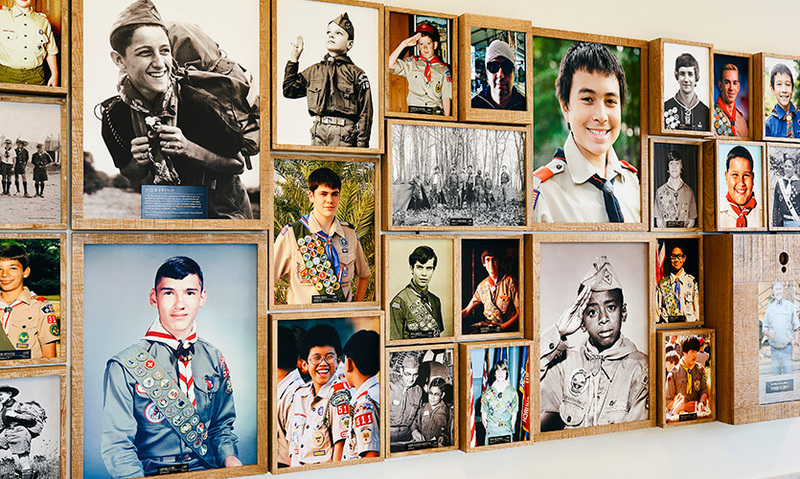 The area features a pin-a-patch wall where Scouts can leave their local troop patch behind to show they were there, a guess-the-merit-badge game and a photographic timeline of Scouts. Visitors can contribute their own portrait to the timeline to in real time via a photo station. While there are no hard metrics on the results of the experience, anecdotally it has been well-received by Scouts, their parents, troop leaders and the staff that work there on a daily basis. The goal of showing the organization’s rich and meaningful history while also showing its relevance for today’s youth exceeded expectations. All knots tied were done properly and fully approved by the Boy Scouts of America. 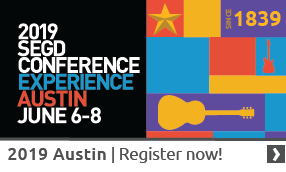 "This project exemplifies the essence of Boy Scouts in a modern, fun and playful way. 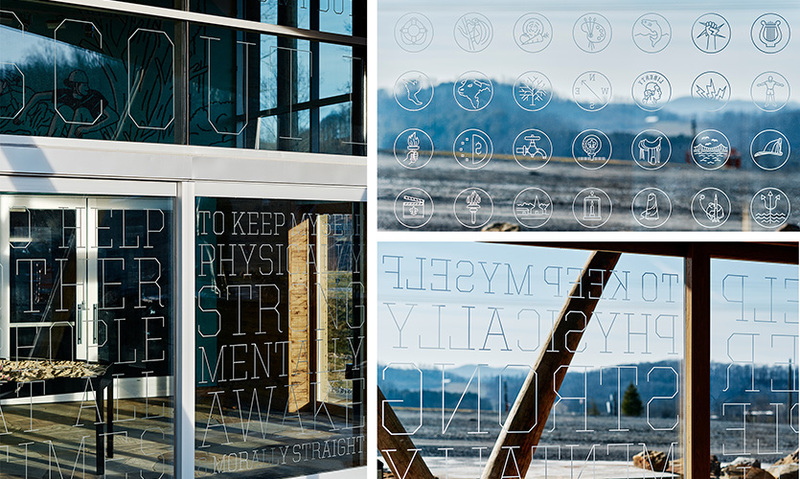 The layering of glass graphics at the entrance with the content behind creates a sense of depth similar to the forest environment. The content is a pure joy to see and radiates pride without using words. A great balance of informative and inspirational communication!" "It's easy to appreciate the playful, fun, open, warm, educational, witty and smart design thinking that went into building the Center. That’s the truth, Scout’s Honor."